CWU general secretary Billy Hayes: "Life is very hard for postal workers"
A series of local postal strikes are continuing to take place across England ahead of the start of an official ballot for a UK-wide national walkout. The latest localised strikes by Communication Workers Union (CWU) members are taking place in cites including London, Leeds and Birmingham. The CWU accuses Royal Mail of pushing ahead with job cuts and will send out national ballot papers on Thursday. The Royal Mail said the CWU's plans for a national strike were "irresponsible". CWU members have now been holding localised strikes across the UK since last week. It estimates that as a result, there remains a backlog of more than 20 million letters and parcels in London alone. However, the Royal Mail says the this figure is only nine million UK-wide, of which six million are in London. It adds that more than 90% of its staff are continuing to work as normal. The CWU says Royal Mail bosses are forcing through a modernisation of the service - including cutting pay and jobs - without proper consultation. It is calling for a signed joint agreement with the Royal Mail that would guarantee staff job security. The result of the ballot on a national walkout - which would be the first since 2007 - is due to be known on either 8 or 9 October. 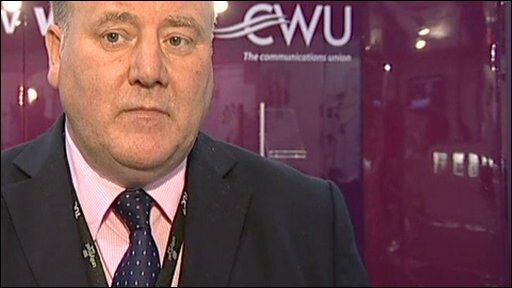 CWU deputy general secretary Dave Ward said there could be no successful change to the Royal Mail without union agreement. "Modernisation is crucial to the future success of Royal Mail, but the implementation of change must be agreed and it must bring with it modern pay and conditions," he said. "We want to see a new job security agreement which will help people through this time of change for the company." The Royal Mail said in a statement that the CWU was "wholly irresponsible" to press ahead with a national strike ballot as talks between its senior managers and union leaders continue to take place. 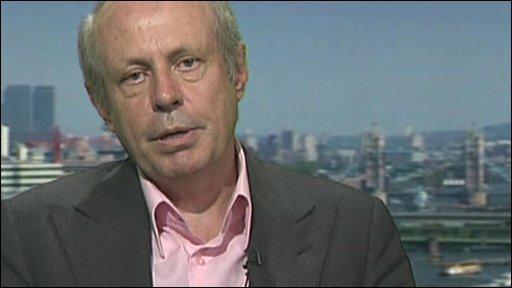 London Chamber of Commerce chief executive, Colin Stanbridge: Postal workers "could be shooting themselves in the foot"
"The ballot is simply the latest attempt by the CWU to oppose the essential modernisation of Royal Mail on the ground despite its public claims to support change," it said. The Royal Mail added that its continuing streamlining plans had already been approved by the CWU under the Pay and Modernisation 2007 agreement between the two sides, and were a vital response to mail levels falling by 10% each year. Royal Mail's operations director Paul Tolhurst said he urged the CWU to abandon all current and planned strikes. Colin Stanbridge, chief executive of the London Chamber of Commerce, said the striking Royal Mail workers were "shooting themselves in the foot". "The longer it goes on, people are going to find alternative ways [to get their post delivered], and as a result the Royal Mail will be even harder hit." Areas affected by Wednesday's strike action are Birmingham, Carlisle, Coventry, Nottingham, Northampton, Hadfield, Warrington, Peterborough, Swindon, Leeds and London. The Royal Mail currently employs 121,000 mail workers.